Here in South Africa we are blessed with a climate that allows us to spend most of the year enjoying our beautiful landscapes and environments. While winter does settle upon us from June to August, the temperatures don’t normally dip below 10 degrees celsius for too long. This means that even during our coldest periods, an evening out in the patio or a morning dip in the swimming pool are pretty appealing. During the warmer, summer months, these activities are an absolute must; a quintessential element of the South African lifestyle. 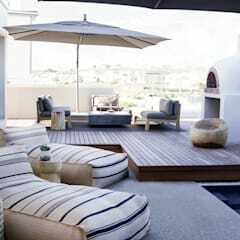 Some of us are lucky enough to have homes adorned with large backyards and luxurious swimming pools, while others have limited square metres with splash and plunge pools. Whether you’re garden or outdoor area allows for the large option, the small option or anything in between, getting the design right is ultimately the most important thing. The exact steps you need to take will depend on the specific area you’ve got, the terrain and on the design and materials that you want the final product to be crafted from. 1. Measuring: This is the first and most important step, as it will ultimately determine not only the size of your pool but how much you will have to spend on getting it installed. 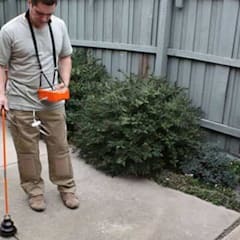 Taking care of length, width and depth measurements is important, but this is also point during which you’ll need consider the terrain, as level sites are far easier to build upon. If your yard is sloping steeply, you’ll still be able to build a pool with relative ease, but it will be trickier and more expensive. One of the main things to consider when measuring is whether you’ll build above or below ground, and while this is sometimes a question of what is possible depending on the ground, it’s also a matter of style, which leads us to our next point. 2. Choose the pool style: Possibly the most fun part of the whole process, deciding on the style and materials means determining which looks you like and what will work best in your yard. Above-ground pool: The above-ground pool is often considered to be the easiest and cheapest to install, simply because it doesn’t require any digging. Less hassle and less Rand spent is appealing within itself, but there are several other advantages to this style including portability, versatility of land and the ability to build a multi-leveled deck around it. 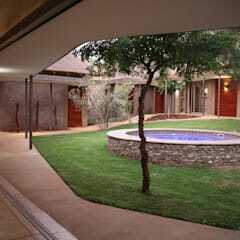 Architectural pool: As the name suggests, these pools have structure, definite lines and are often an extension of the home itself rather than an addition, meaning that they are usually custom designed. Often consisting of mixture of sandstone and fiberglass, these pools are geometric in design and sophisticated in execution. 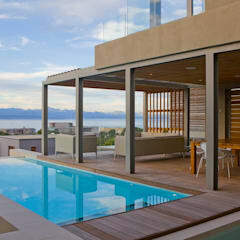 Family pool: This approach is all about the combination of fun and safety. You might like to include slides and water-park-themed items such as water features, caves, tunnels and boulders to get the right atmosphere, but if small children will be in the vicinity then a good fencing system is vital. If you’re an entertainer and enjoy noise and excitement, then this is likely the pool for you… if not, we don’t doubt that your kids will love it. 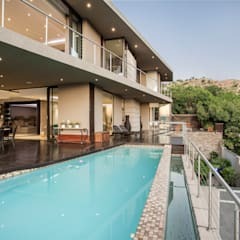 Indoor pool: While we’re already stated that outdoor living is central to the South African lifestyle, the option of an indoor swimming pool is certainly not off limits. 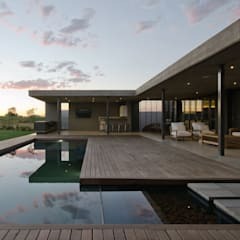 Perhaps one of the most beautiful additions to any home is the incorporation of a pool that extends from the outdoors in, connecting the two spaces. An additional advantage is that they’re usually nice and warm during those brief winter months, however you need to make sure you have a space in your home that can truly sustain such a space. 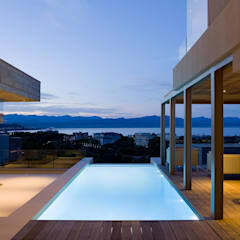 Infinity pool: If you happen to live on a cliff or mountain, an infinity style pool is probably too hard to resist. Stretching out onto the horizon, or into infinity, these pools create an undeniable sense of relaxation and affiliation to the lush life. 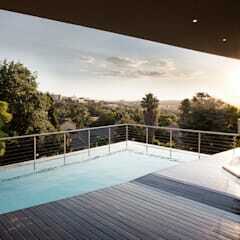 These must custom built and designed to highlight the view that your property has, whether it be ocean of land. When built to perfection, the image that the water is dropped off the edge of the cliff is created. Pricey but well worth considering. Lap pool: Swimming laps might sound like a nightmare to some, but if your property is long and thin, this is a good way to take advantage of the plot. Broadly speaking, this style is used for health and fitness purposes and are usually more than 15 metres in length, sticking to a classic rectangle shape. Nature pool: At a first glance, these pools can often appear more like ponds but like other in-ground pools, they can be tailored to any design requirements and wishes. First coming to the fore in the 1980s, nature pools are usually lined with rubber and reinforced polyethylene and normally feature boulders, waterfalls and rocks that evoke a sense of the rainforest or bush. 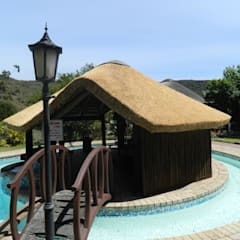 Plunge pool: Often found in villas and perfectly ideal for small spaces, plunge pools are restricted in width and length, but are usually very deep, allowing for a relaxing swim. The word plunge itself might make you think of jumping off a high-board and diving, but in this case it refers to the depth of the pool, which serves the opposite purpose. Having existed for thousands of years, these pools were used in Chinese medicine as well as by the Ancient Romans, who believed that entering a plunge pool following a sauna sessions had therapeutic benefits. Salt water pool: Most of us love swimming, but we’re not familiar with anyone who looks forward to the smell and taste of chlorine in the water. 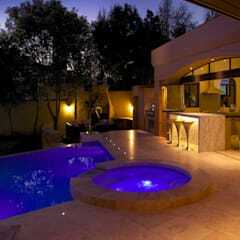 That’s what makes a salt water pool so appealing. You will likely not be able to see any difference visually, but the quality of the water is significantly better for the eyes and skin, and makes for a much more pleasant swim. A spa or spool: You might like to opt for an attachment or section of your pool acting as a spa for those cooler evenings or days where you simply want to relax in the bubbly, warm water. This is perfectly possible, but an option you might not have considered is the spool, or the spa-pool. A great option if your block of land is on the smaller side, the spool is multifunctional, multi seasonal and inexpensive in comparison to maintaining two separate spaces. Prefabricated pools: Offering ease of installation and a friendlier price tag, prefab or modular pools are attractive for more than one reason. Alongside the reduced costs, these pools are delivered to you and installed at a much faster rate, and if your garden/outdoor area happens to be quite accommodating, there are plenty of shapes and size to choose from. The most common South Africa are the Cuba, Bazaruto, Canary, Seychelles, Honolulu, Mauritius, Grenada, Madagascar and Pacific styles. If none of these shapes happen to suit your taste, you can always order something a little more standard like a party or Capri style. 3. Choose the material: The materials you settle on will depend on the style that you’ve chosen. 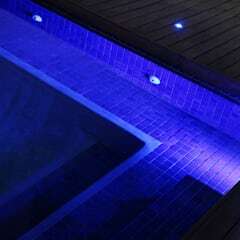 The two materials most commonly used in the construction of pools are concrete and fibreglass. 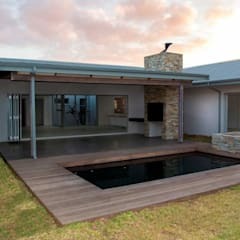 Vinyl is also a regular, but is not seen as often in modern day South Africa and reinforced steel is a solid option for inground pools but is seldom used due to the popularity of the first two materials. Fibreglass is the best choice if you’re project is under a bit of time pressure, as the entire thing can be built on site. 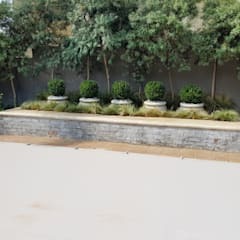 Concrete pools however require construction on and off site and are weather dependent due to the porous nature of the material… no one wants a mouldy pool. 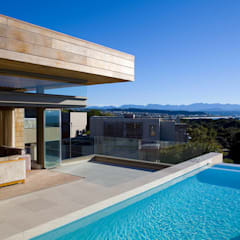 Concrete however, does offer the most flexibility in terms of shape, size and depth, meaning this is your best bet if you want an infinity pool or something with a customised design. 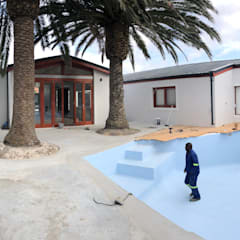 Fiberglass pools are usually pre-moulded and ready to be installed, meaning that the hole in your garden will be shaped to accommodate the pool shape, rather than the other way around. 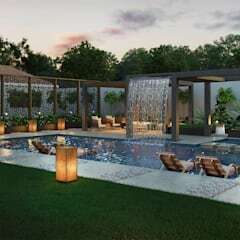 How much will installing a pool cost? This is a difficult question to answer, as prices can range dramatically depending on size, terrain, materials and degree of customisation. 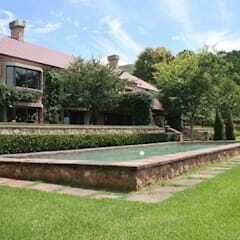 Broadly speaking however, the cost of a standard, relatively basic concrete pool is around 330,000 Rand, which is roughly the same that you’ll pay for a fibreglass composite pool. 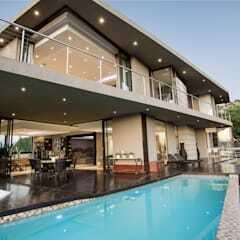 For a more involved concrete pool that requires some individualisation, R520,000 is probably more realistic. In addition to this come the maintenance costs including running and servicing of pumps and filters, cleaning the water with chemicals, chlorinators of suction cleaners and ensuring that the surrounding space stays in top condition.